Over the course of his two decades of experience in the financial services industry, one of the most important things Bob Bernstein has learned is that there is always more to learn. Eager to evaluate new investment opportunities and financial strategies for clients, he strives to expand on his knowledge each day. 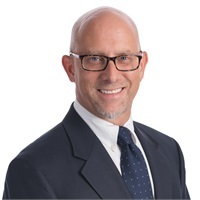 As a Financial Consultant with Coe Financial Group, Bob works with a diverse range of clients, from small business owners and executives in transition to individuals and families with multiple long-term financial goals. He enjoys working closely with clients to create customized strategies that address their many needs. He believes that asset allocation is necessary for managing risk by maximizing return and incorporates this philosophy into his strategic investing approach. Bob started his career as an Account Executive with Horwitz & Associates, where he managed in excess of 100 securities accounts with assets totaling over $30 million. As a Financial Consultant with Wachovia Securities, he served as part of a team managing over $400 million in investments through research, trading, and marketing. His experience also includes working at the Chicago Mercantile Exchange, where he handled French francs and Deutschmarks for institutional clients. With a strong entrepreneurial spirit, he transitioned to become an independent advisor and joined the Coe Financial Group team. Bob holds FINRA Series 7, 52, 63, 65 securities registrations and life insurance license. He received his Bachelor of Arts in Psychology from the University of Illinois at Chicago and the Certified Wealth Strategist® (CWS®) certification. Outside of the office, Bob dedicates much of his time to his wife, their son, and their adopted daughter from China. Due to his first-hand experience with international adoption, he is highly involved in the local adoption community. He also volunteers with Special Kids Network, a non-profit that funds projects that assist children and young adults with special needs. Bob has been practicing yoga for more than a decade and is an avid music fan, listening to everything from folk and funk to rock and classical.